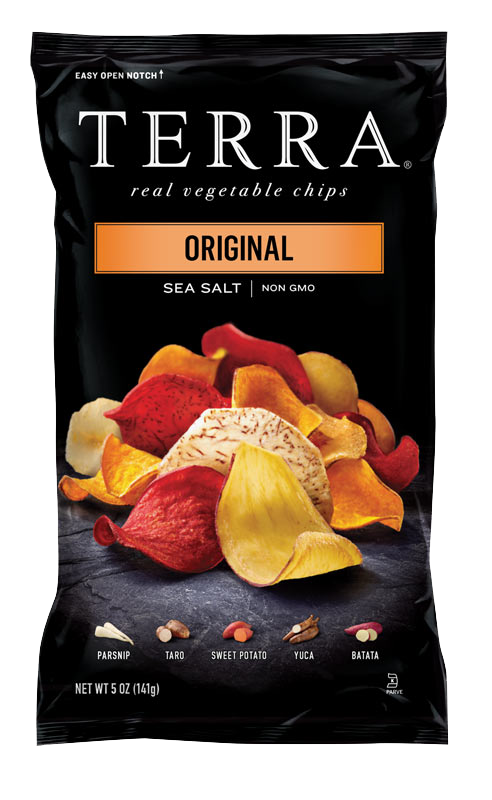 (Cassava) The lightest of color of the TERRA® Chips, pale yellow-white. A member of the same family as carrots, fennel, parsley, celery, celeriac and chervil. Ingredients: A seasonal mix of root vegetables (taro, sweet potato, taro [colored with beet juice]), canola oil, and/or safflower oil and/or sunflower oil, salt.